Let's do Lunch! Reuniting with good friends to celebrate a birthday is always a good reason to gather. 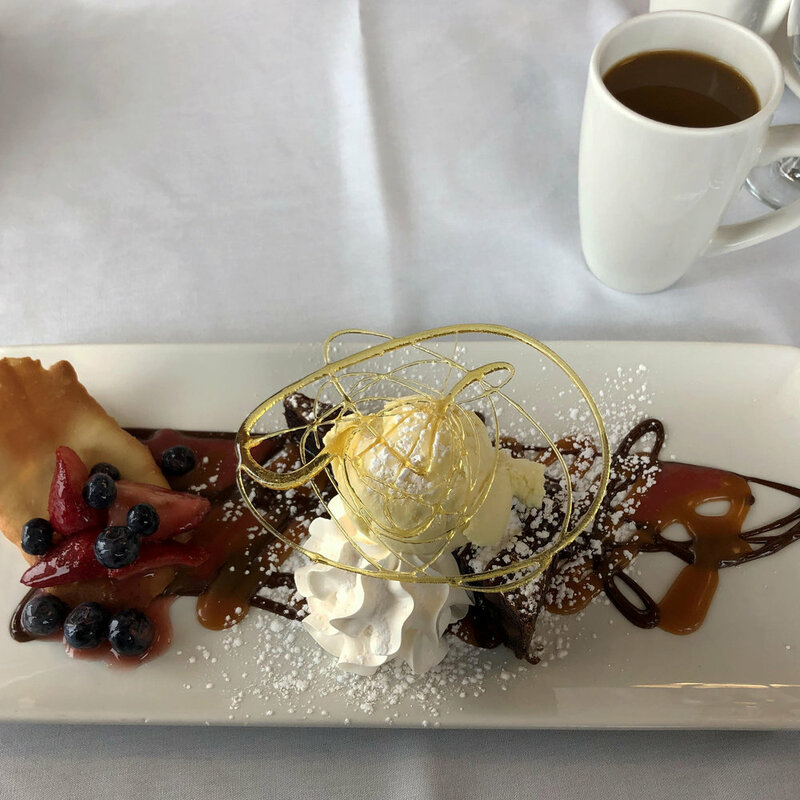 Wolastoq Wharf was suggested, and it was the ideal place for fine dining, excellent food at a great value, and a relaxed friendly atmosphere to enjoy each other's company to catch up & to linger for a while. Right now there is special lunch menu where all offerings are $9.99 ~ I know! What a deal! 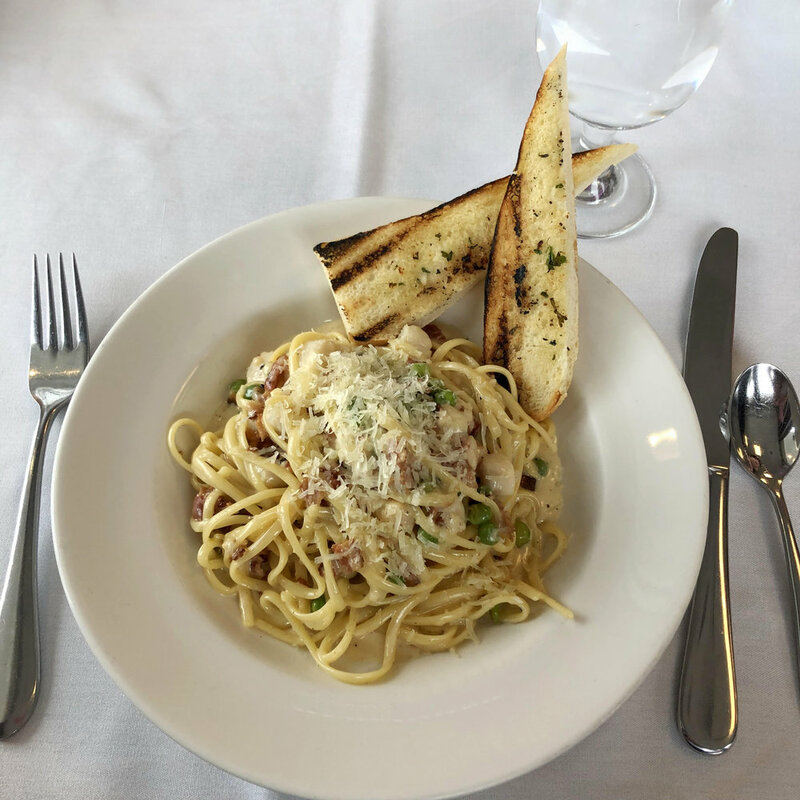 We all ordered from this menu and chose the Scallops Carbonara & it was delish! It was loaded with many small sea scallops but we all discovered a few massive ones too. Did I mention it's only $9.99! The Fettucino Alfredo was so lovely. Toast points and the just the right amount of fresh parmesan, bacon, veggies and shallots made this lunch one to rave about days later. It was that good! Can We Talk About The Desserts?! When you're celebrating someone's birthday, well, you must order dessert of course and all I can say is 'WOW!' Our eyes were as big as saucers when we were presented with the very generous servings of carrot cake (chosen by both the birthday girl and my other bestie) and I ordered the heavenly chocolate brownie with ice cream, which was 'almost' too pretty to eat but, I managed. I will let my photos speak for themselves. 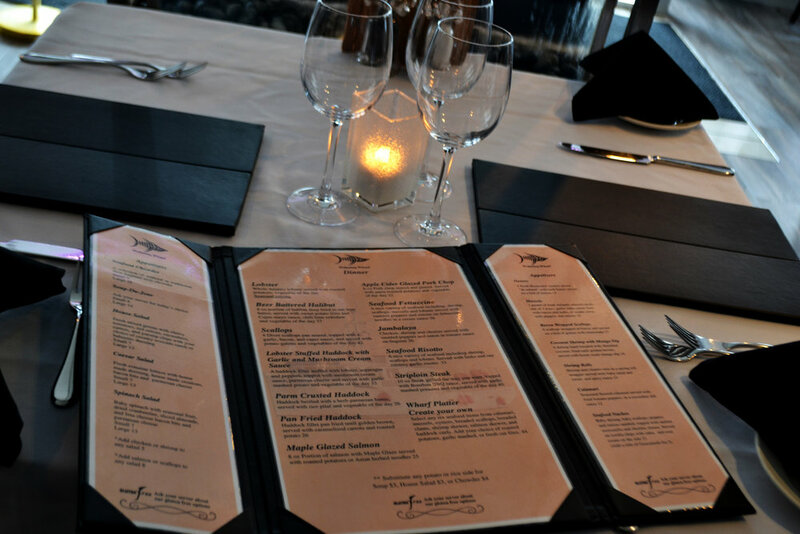 This upscale seafood restaurant is located on Fredericton's Northside. 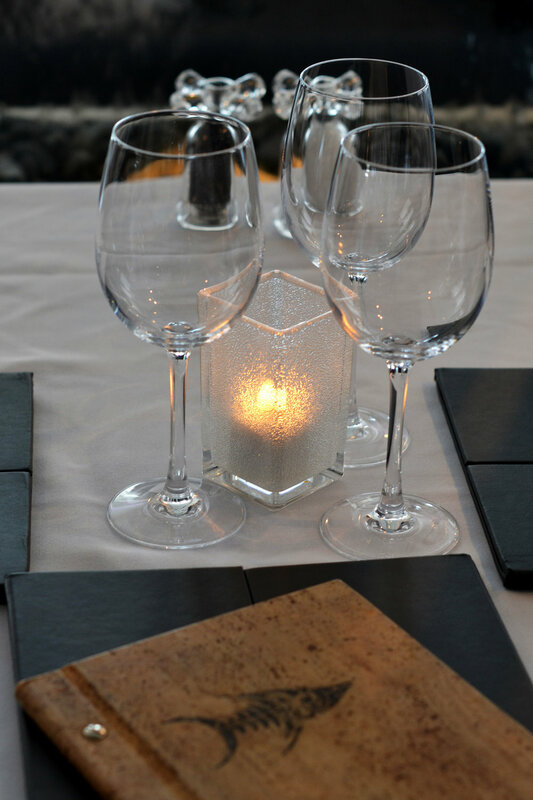 It is a cozy spot for an intimate dinner for two or for a small group. 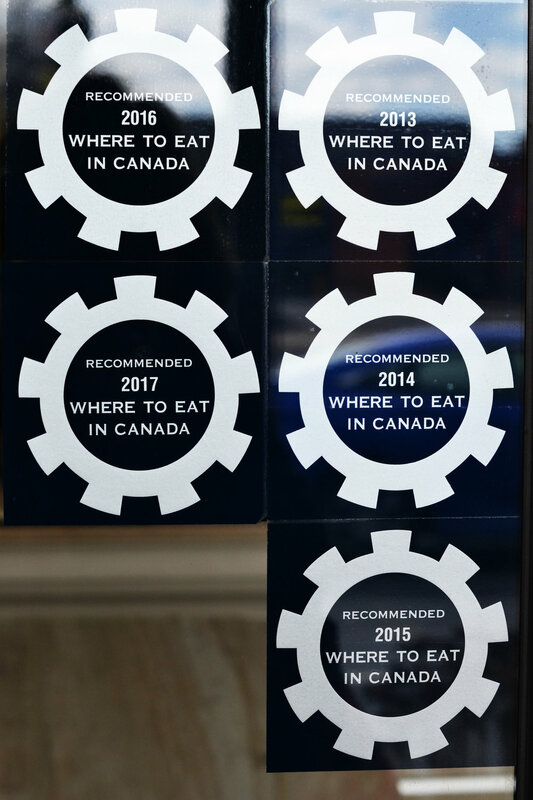 Trip Advisor lists Wolastoq Wharf as #3 of 174 Restaurants in Fredericton. The menu offers gluten-free options, which is a big hit with friends of mine needing that option. The service is excellent. 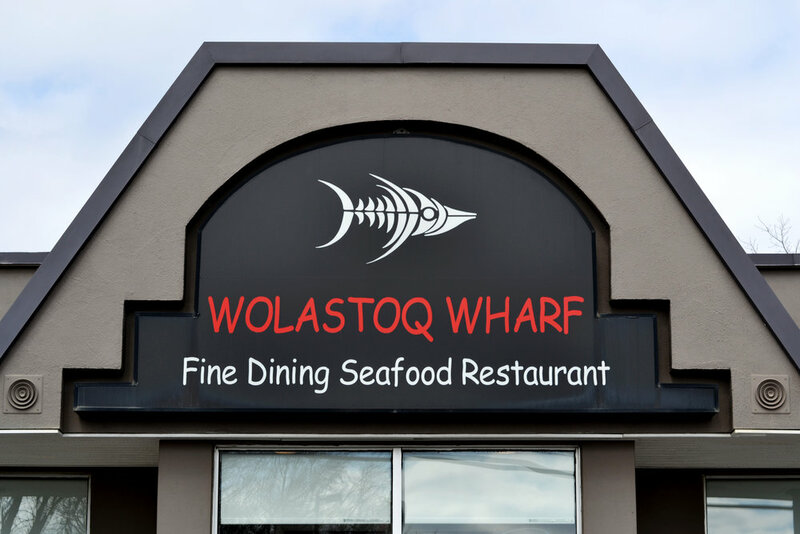 Wolastoq Wharf goes well above and beyond to ensure everyone is satisfied and looking forward to a return visit.